Face lift is also called Rhytidectomy. Every year scores of patients opt for this procedure to reverse the aging clock. In today’s times, all the anti-aging procedures available across all procedures are compared to a face-lift when comparing the results. This surgery is the gold-standard of all anti-aging procedures. It can correct, midface sagging, jowls, neck folds, double chin, marionette lines folds and wrinkles on the face in one surgery. It works from tightening the muscles and redraping the skin to suit the muscle tightening. This rejuvenation procedure is unparalleled in results and the longevity. It has one of the most satisfied patient base of Cosmetic surgery patients. 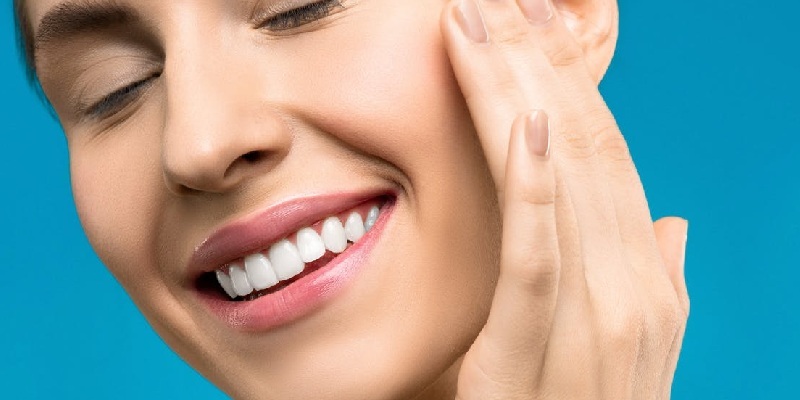 It is also cost-effective in terms of total money invested for the rejuvenation procedure. Repeated fillers and rejuvenation procedure come at considerable expense when compared to a face-lift. It is a one-time, long-lasting cost-effective solution for a comprehensive rejuvenation of the face and neck. Why should I consider a face lift? Most patients consider a face lift when what they see in the mirror does is not in sync with their youthfulness in spirit and energy. If you have loose sagging skin around your jowls, mid-face, and neck. If you have prominent nasolabial folds. If your face looks deflated and volume depleted. Even if you are just concerned about the loose neck, you are a good candidate. If you cannot identify with the old reflection of yours that you see in the mirror and you feel that age, heredity, sun-exposure, and gravity has started telling on your face. What are the pros and cons of the procedure? In one surgery almost all your facial aging issues can be addressed. This is the only procedure that can make you look about fifteen years younger and the advantage that you gain is forever. You always keep looking about 10-15 years younger than your actual age. It has undoubtedly the best contouring results than ANY other procedure offered. A facelift doesn’t make you a different person as some people desire. It makes you look fresher and more rejuvenated. As this is a surgical procedure, you have a downtime associated with it. This is a small price you pay for the permanent benefits you will have with this procedure. What should I expect from my face lift procedure? This procedure will make you look younger, fresher, smoother and rejuvenated. It will eliminate all your major folds and wrinkles. Majority of the face lift surgeries actually focus on the lower face. It can also focus on the midface and the forehead in the same surgery. This surgery is performed under general anesthesia or Iv sedation with local anesthesia. An incision is placed in the hidden part of the face, along with the hairline and along the ear which goes back to the hairline. At this place, one will not be able to make out the scar eventually. This is also an area that can be camouflaged till the time the wound is healing. The skin envelope is lifted and the face and the neck muscles are tightened. The skin is redraped and the excess skin is taken off. The suture is done with either absorbable or removable sutures. There are different approaches to a face lift but this is the most common one. Depending on your requirement, fat injections, fillers or implants may be needed to be added to the procedure. The goal of your Cosmetic Plastic surgeon is to give you a pleasing result with minimal downtime and well-concealed scars. There is usually a team to take care of your post-operative needs and everyone’s goal is to make your rejuvenation journey comfortable and rewarding. How will the incisions look like? Almost all face lifts will have incisions that run around the front of the ear but they are all well concealed. The extent of the incisions may differ on the type of surgery being planned. Traditional face lift: The incision will run from the temples, in front of the ear, back of the ear and disappears into the hairline at the back. Short scar face lift: This too starts at the temple, goes down to the front of the ear and just turns around the earlobe. There may be additional small incisions needed to access different areas if desired. Neck lift: This lift will need an incision in the front of the ear-lobe and behind the ear. You will also need to have an incision under the chin area to access the loose muscles of the neck. Your board certified Cosmetic Plastic Surgeon will make these incisions as hidden as possible and may customize the incisions according to the requirement. Scarring properties depend on a lot of factors. Wound infection, poor technique, increased tension, genetics, sun exposure can be important factors when the outcome of any scar is considered. This is no different with a face lift. Most of the people do not have noticeable scars in the long term. The decision should not be based on cost but on the proficiency of the surgeon. In the short term you can expect bruising and swelling that occurs after the surgery. This usually subsides quite a lot in the first week to ten days. You should avoid bending forwards with your head down and any strenuous activity for one month. Swimming should be avoided for the same duration too. You can start your routine activity after two days but have ample rest after your surgery. Joining back to work should be considered in a week to ten days time. You will also need to wear a compression wear around your chin which helps to take care of the swelling and helps in the draping of the skin to the underlying tissues. With more extensive procedures, the results last much longer. So, if you are prepared for some time off work and can afford the downtime associated, go by the advice of the Cosmetic Plastic Surgeon. Ask for the most suitable procedure and make out some time off your schedule for the recovery. Remember, we are talking about a procedure which has lasting results in terms of 10-15 years. A couple of weeks off will ensure that you have the most appropriate procedure. How much is the cost of the procedure? This will vary in between regions, surgeons and the type of procedure to be performed. Instead of asking for a generalized quote, it is best to have a consult with the surgeon to know what procedure will suit you and ask for specifically associated costs. Insurance does not cover these costs. You should select your surgeon based on quality, training, and experience—not cost. One of the numerous good things about the surgery is that the major complications and risks associated with the procedure are infrequent. This makes this surgery the gold standard across all the facial rejuvenation procedures. You should thoroughly discuss this with your board certified Cosmetic Plastic Surgeon. All these listed risks can be minimized under the hands of a trained Cosmetic Plastic Surgeon.